Celtic pride runs deep in Montgomery County, leading to more St. Patrick’s Day festivities than you can shake a shillelagh at. 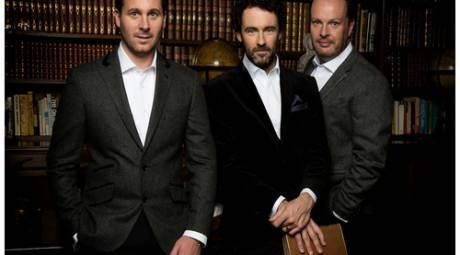 The Celtic Tenors have established themselves as the most successful classical crossover artists to emerge from Ireland. Their latest album, “Harder Times,” moves them from a traditional tenor album to the works of great songwriters like Bob Dylan. Considering there is no bad seat in the house at Sellersville Theater, this is a great opportunity to catch them. 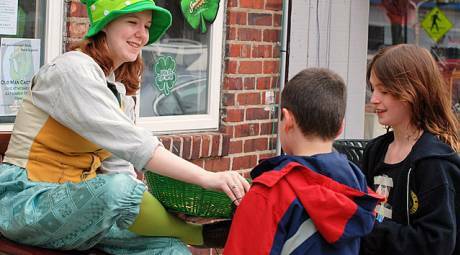 The Narberth Business Association’s ”Blarney” Booth is the starting point for this quest, where kids must find ten leprechauns hidden throughout the downtown area. Each leprechaun found nets a reward to the intrepid hunter: a chocolate coin. Find all ten gets rewarded with a shiny U.S. dollar coin. The benefactor for the event that kicks off a day of celebration in Conshohocken is quite worthy: Fire Company #2, which uses proceeds for new equipment. The course is a double-loop on Fayette Street, meaning that on the second time around, that hill is going to produce some sweat. 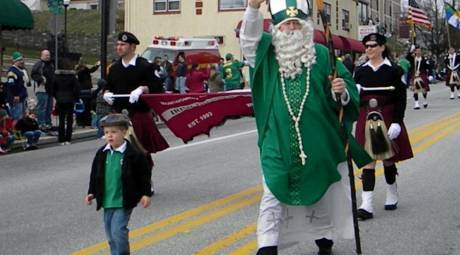 The massive parade – bearing the theme of “Conshy: A Mile of Irish Smiles” – begins at 2 p.m. The Druids Irish Band hails from County Kildare and now play to packed houses. A recent concert tour took them to 500 venues in Scotland, Ireland, Europe and the U.S. 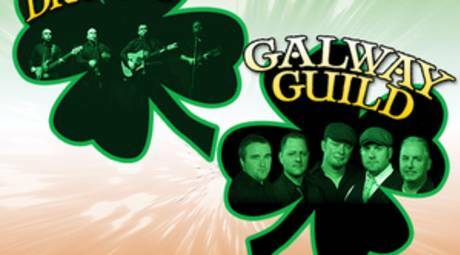 In time for St. Patrick’s Day 2017, they’re now as close as the Ardmore Music Hall, joined by The Galway Guild, a Celtic rock band from Philadelphia. 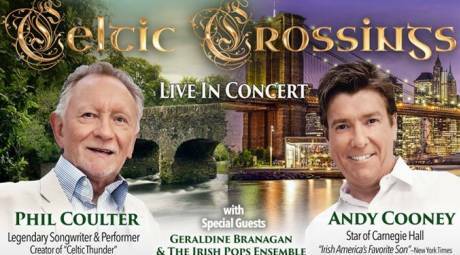 Celtic Crossings is a delightful evening of Celtic tranquility with the great songs of Phil Coulter sung by the magnificent voice of Andy Cooney, with special guest Geraldine Branagan and the Irish Pops Ensemble. Coulter’s lyrics and melodies have captured the hearts of millions, and the acoustics at the Keswick Theatre will perfectly transmit his every grace note throughout his honey-rich range. 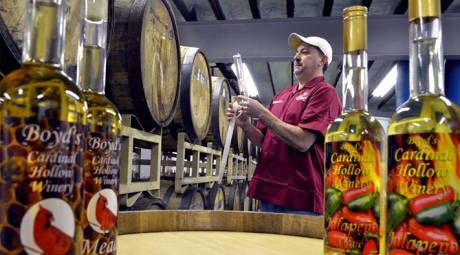 Winemaker Christopher Boyd and Chef Kyle Fry join forces to create a Celtic culinary experience that goes way beyond boiled beef and potatoes. Each of the three courses (appetizer, entrée and dessert) are paired with a hand-selected vintage. The meal culminates in a dessert spotlighting Irish whiskey mead, both in the glass and in the layer cake. 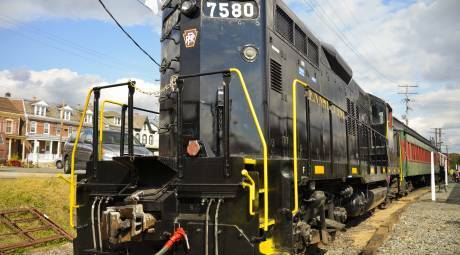 Don your best Kelly-green attire and hop aboard the Colebrookdale Railroad’s 7 p.m. excursion. 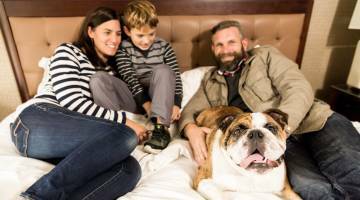 The two-hour trip connects Boyertown with Pottstown (and vice-versa), giving plenty of time to enjoy the corned beef and cabbage, topped off with an optional glass of Guinness or a soothing Irish coffee. Multiple distances offer a challenge to runners of varying levels, including kids. Everything starts at Iron Hill Brewery and Harvest Seasonal Grill & Wine Bar, in the Shoppes at English Village, North Wales. The 8k distance is flat and fast and passes by some of the most scenic landscapes (lots of green, of course) in Montgomery County. The races raise funds to support the programs of the Wissahickon Watershed Association. Norristown Public Library works well for an after-school event themed to St. Patrick’s Day. Kids will be able to make Celtic pop-art with shamrocks and Irish hats. Another station allows them to twist green pipe cleaners into shamrocks and decorate them with beads. Hikers will meet in the parking lot of the Pickering Creek Inn at 1 p.m. and walk across the bridge, over the Schuylkill River and down the towpath to Lock 60. Upon reaching the grove, the kids set off on a treasure hunt, while Irish music kicks in at the locktender’s house. Registration is at Riverfront Park (140 College Avenue), with runners then setting forth from the front of Montgomery County Community College. Entrants who sign up by March 8 get a t-shirt, and multiple award categories make it competitive fun for everyone.